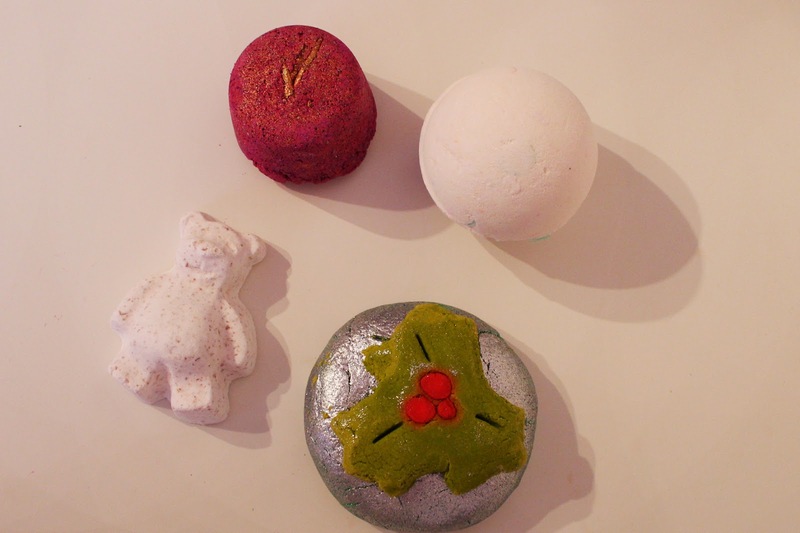 Yes this is another LUSH haul coming your way right now - are you ready? I had a little time in between my Uni lectures last week and happend to be wandering past a LUSH store and couldn't just walk past, so I dragged my best (male) friend inside. 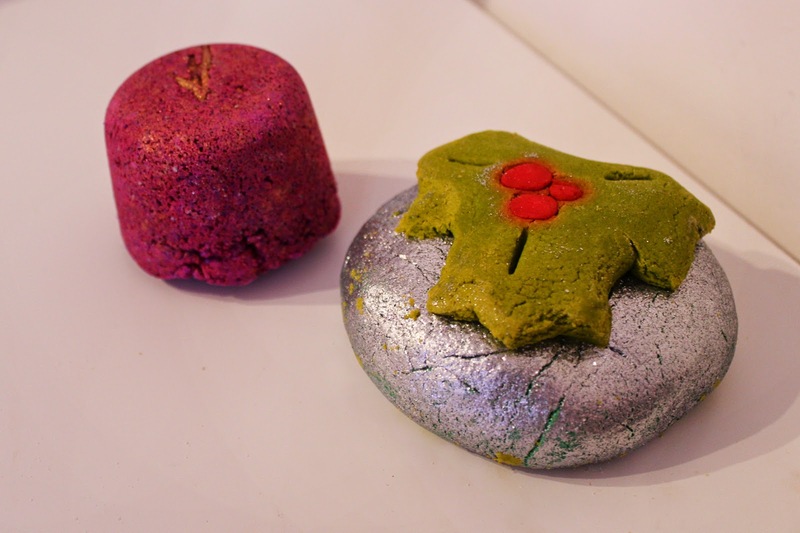 Since it's getting cooler and cooler outside I figured why not treat myself with some gorgeous smelling bath bombs? 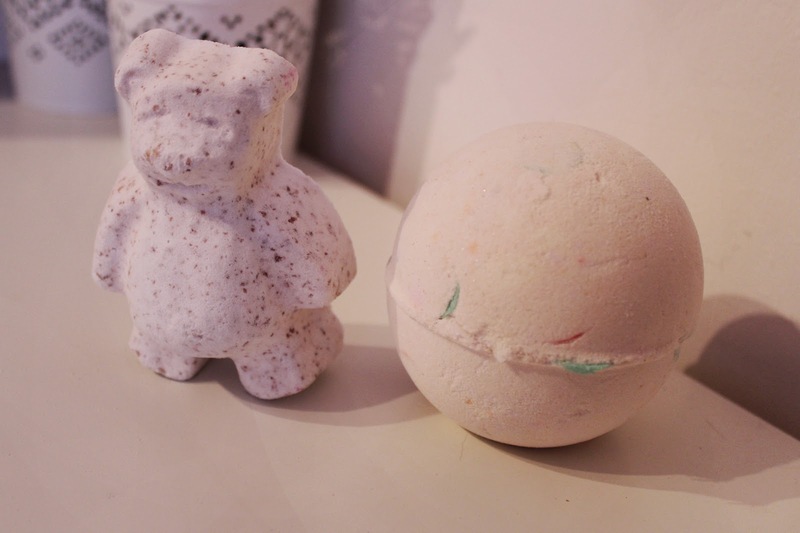 The first one I picked up was "Butterbear" - look how cute it is! The lady in LUSH recommended this for dry skin as it's really nourishing thanks to the contained cocoa butter and ylang ylang oil. It smells like vanilla with a slight hint of cocoa (due to the contained cocoa powder). Butterbear was the cheapest out of the bunch with 3,95€. Up next is "Dragon's Egg" I've seen this one in several other LUSH hauls and just really wanted to give it a go. It actually doesn't look too exciting on the outside, just a plain white bath bomb, but I think there's something colourful hidden inside. This bath bomb has a really fresh citrus scent and contains lemon oil, bergamot oil and there's also some popping candy hidden so I guess I'm in for a surprise! I'll definitely let you know more about this after I've used it. This was 5,95€. I also got "Phoenix Rising": this bath bomb is a pure beauty, I love the purple and gold shimmer it has. The cinnamon scent is really rich and strong, really luxurious! I can't wait to drop this into my bath tub! I paid 5,75€ for this. And last but not least I got something christmassy: "Holly Golightly". This looks super festive with all the silver glitter and the holly leaf. This bath bomb is entirely green on the inside though - so it will make my bath water turn into a great colour. I'm a bit scared how to get rid of the glitter in the bath tub afterwards though. It also smells like christmas to me, like clove and a bit of cinnamon! This was the most expensive one I purchased at 6,95€. Have you bought anything from LUSH recently? Would you like to try any of the products I go?